Your wedding day will undoubtedly remain one of the most important days of your lives. 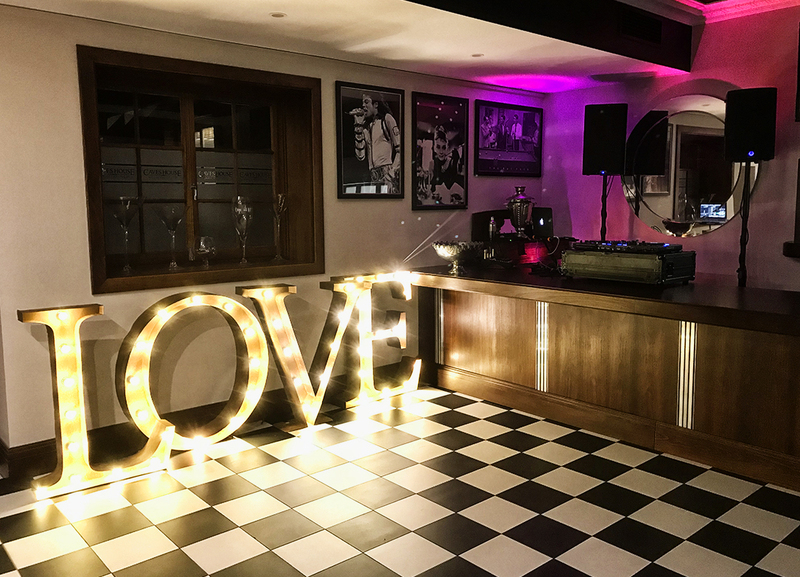 Therefore, you should expect nothing less than a DJ that appreciates the importance of delivering a first class service. Music for your day is the final delivery. A well-executed event is all in the preparation. DJ Private Pickle has been in client services throughout his entire professional career. 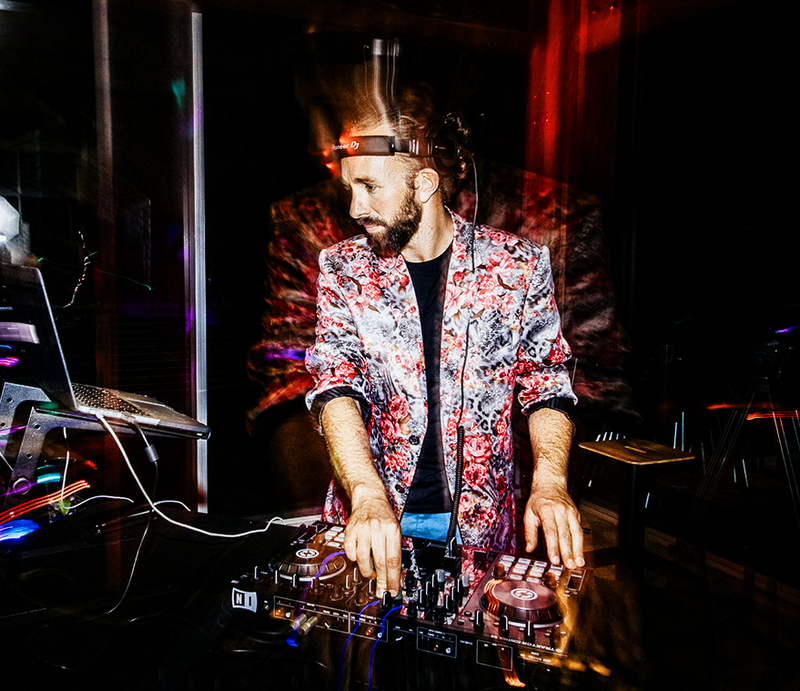 Before becoming a full time professional DJ, he spent 6 years at a top tier investment bank within operations. 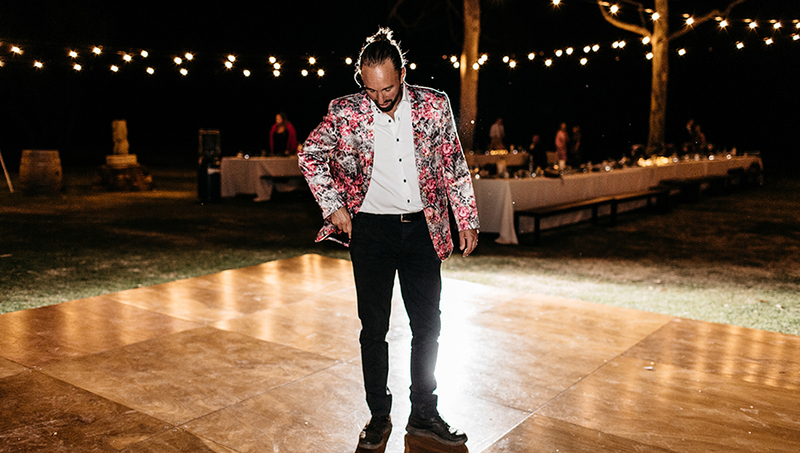 He has collectively spent 4 years within hospitality as a special functions headwaiter in the UK and cellar door & restaurant assistant manager here in Western Australia. This naturally results in a methodical, organized and impeccably delivered experience all coated in a fun, friendly and stress free persona. Don’t take my word for it though… why not have a free of charge initial consultation to get a feel for me first hand and check out some testimonials at the bottom of the page..? 2x professional cordless microphones for MC and speech requirements. Generally, most wedding receptions will last for 6 hours, commencing after the wedding ceremony. My package price for 6-hours is from $1,600. I can also accommodate music and microphones for the ceremony and/or pre-reception drinks/canapés at an additional charge of $160ph. For any other non-standard requests, please don’t hesitate to get in contact to discuss. Music is my passion. The equipment in which that music is delivered is equally as important. In my opinion, sub standard equipment is not an option for any event, gig or function. Therefore, I only use the highest performance industry equipment. All three Turbosound speakers have an incredible 2500w of power. This combined with the 12 inch low frequency driver on the two iQ12’s means that a sub-woofer is not required in the majority of normal set up scenarios. The Turbosound speakers also have a feedback cancellation feature which helps eliminate any unwanted feedback from microphones. The slightly smaller third speaker in the set up allows music projection from alternative angles in large spaces i.e. either end of a large room. This provides a surround sound ambient feel at lower non-abrasive volumes. The two AKG cordless microphones facilitate single or duo use allowing multiple speakers to move freely around your reception as they deliver throughout the evening. Music for a wedding day has to be dynamic. It has to be both easy listening and energetic. 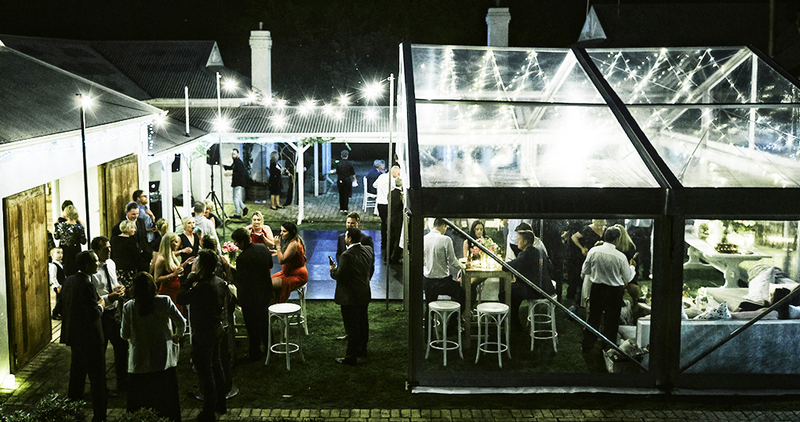 It must warm the dining service and heat up the dance floor whilst transitioning through the tastes of your guests, which will likely include a blend of eras and styles. Therefore, in my experience, the most conducive method is a well-structured collaboration between the wedding couple and the DJ. My ‘Wedding Information Form’ is the bridge between your knowledge of the guests and my delivery of the music composition. Once your booking is secured, you will receive my Wedding Information Form. It will not only guide you through my full service but allows me to delve into your musical tastes through a multitude of simple answer questions. 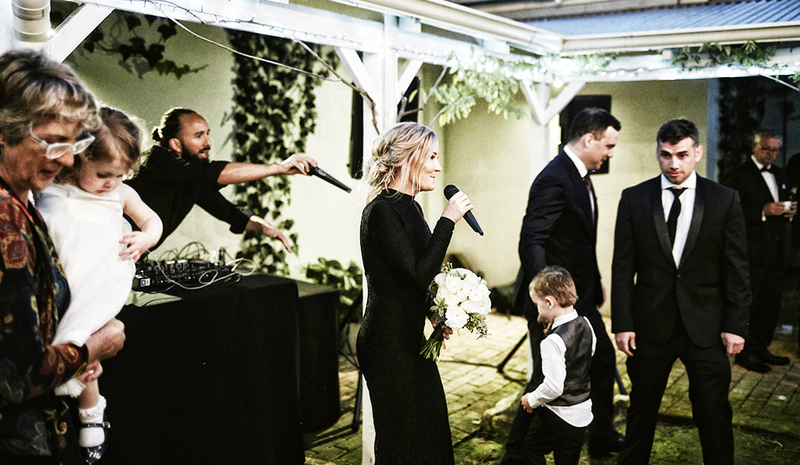 This process provides me with a basis to get to know you and your guests as best as possible in conjunction with our consultations so that I can showcase the music that is important to you on your day. 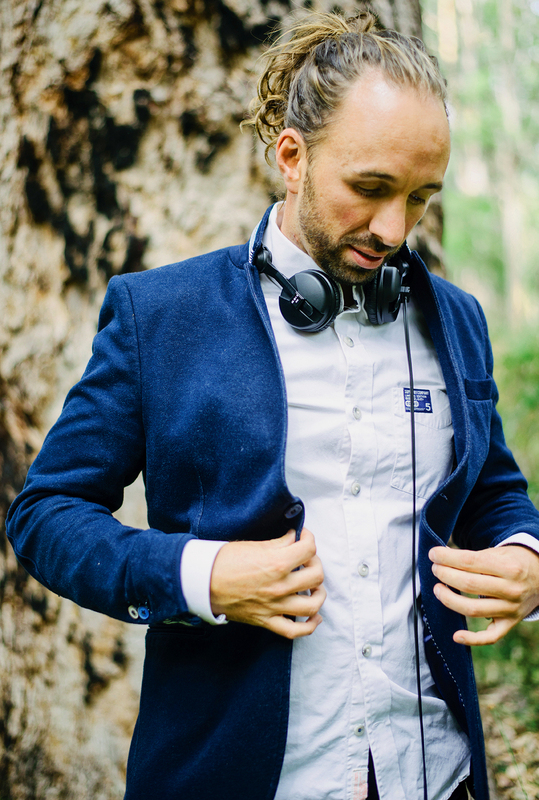 With over 19 years of DJing experience and a current professional offering that spans across various venues, festivals, events and weddings, reading a crowd is at the core of my performing skill set. 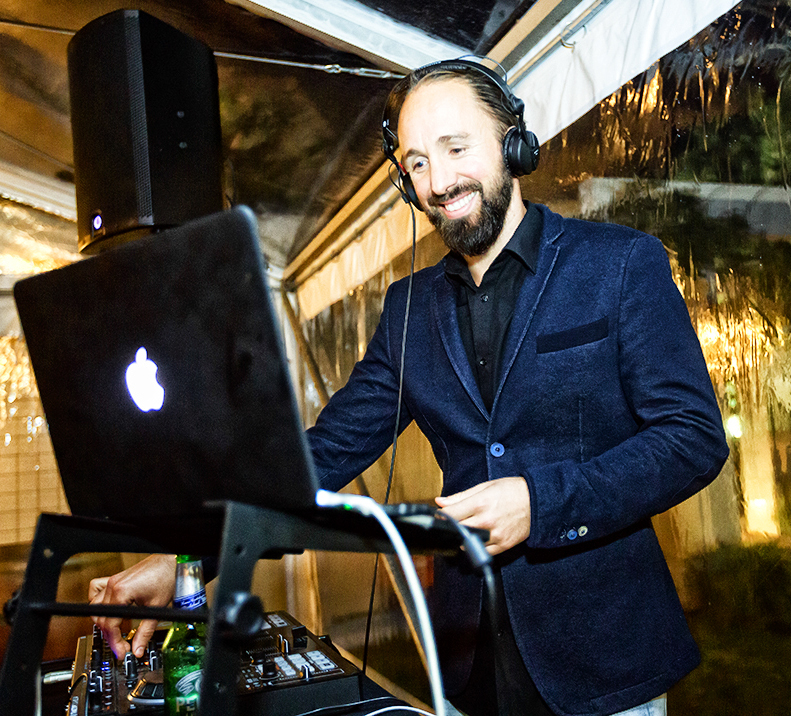 You can feel confident that my deep music folders along with our collaboration will allow me to glide through the evening energising your guests at just the right times to crescendo the dance floor into a finale of smiles, sweat and cheers. Investing in the best equipment empowers me to offer the best service. 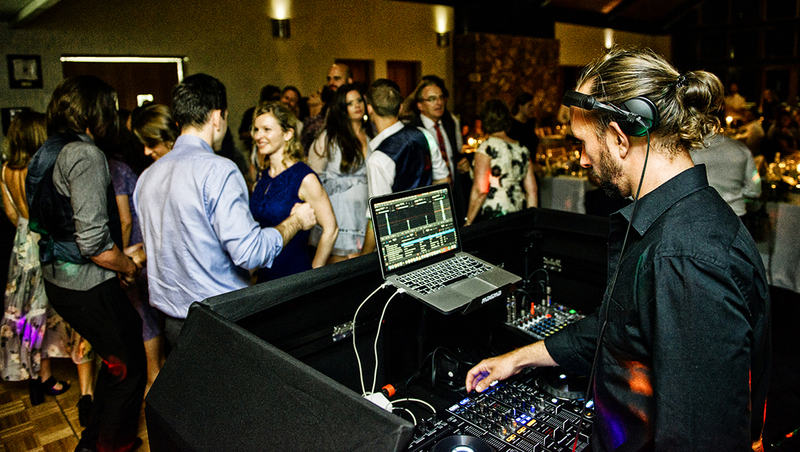 Included in my wedding package is an industry standard DJ booth. It is portable and easy to set up. It can be dressed in either black or white linen if you do have a preference. By design the booth conceals the majority of my equipment and connecting leads so that the entirety of your venue including the DJ set up is a spectacle. “Get to know the stakeholders in your wedding day” is often a comment among industry professionals. You want to be sure the right fit team is there to deliver you all the elements of a perfect day. As part of my initial quote and consultation process, I insist on having a call, Facetime, Skype or face-to-face meeting with you. I want you to be both comfortable and confident in my approach to organising the delivery of your wedding music. I also want to ensure that what I offer is the best match for your desired style of evening. From the point of securing my services, you have unlimited phone or email support as we approach your big day. Once I receive back a completed ‘Wedding Information Form’ and have reviewed the content, I will then arrange a final consultation with you both to go over any outstanding points and take the opportunity, if not done so already, to meet you both in person. If feasible, I like to have this consultation at the wedding venue so we can discuss the layout and set up logistics for the day. Please use the contact page on this website to send me through an enquiry. If possible please include your desired wedding date, venue and DJ hours required so that I can quote accordingly. I will look to reply to you as soon as possible. Look forward to meeting you both! 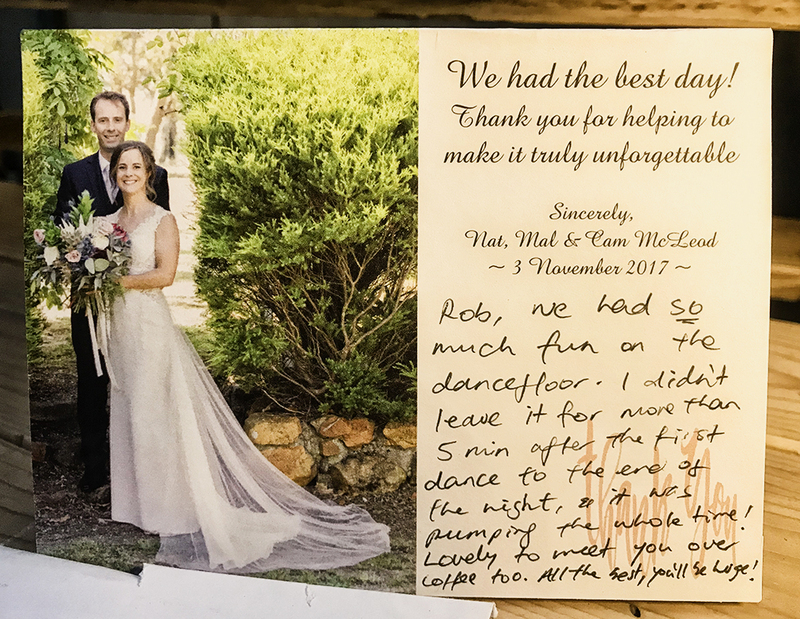 “I had great faith in Rob right from the very first phone call, his professional approach, enthusiasm and energy said everything, which continued through every correspondence that we had, so I never doubted for a minute that our wedding reception was going to be anything except a fabulous party. Rob tailored the music so that everyone enjoyed themselves, we equally enjoyed Rob enjoying what he was doing too. “Mr Pickle, firstly what an honour it was having Robert a part of our wedding. We had been looking for a DJ for some time and stumbled across “DJ Private Pickle” instantly we thought, we have to meet this guy! So upon arranging a meeting with Robert we where greeted with such a laid back warm welcoming attitude which was so refreshing. Any one organising a wedding will know that at times it can be quite stressful trying to make everything perfect. Robert made sure we were relaxed and helped us to put together exactly what we wanted for our wedding. Not once did we feel “out of control”. Just before the day we met with Robert one last time to discuss and sort all the final things involved. Not only did his experience help us design and arrange such a perfect set up, his friendship gave us absolute comfort in knowing that our wedding will be just what we had hoped for. The big day arrives… We could not have of asked for a more perfect day. Our ceremony couldn’t of ran any smoother. It was nothing short of magic. Through the entire afternoon/night Robert played us all of the music we had asked for and not once did the night feel flat. He did such an incredible job of making sure everyone was enjoying the songs and the night.